Javier Arias joined BendPak in 1985, right around the time we sold our first four-post lift. He began his career as an assembler, where he became well​-acquainted with the finer points of manufacturing BendPak pipe benders and lifts. A naturally industrious employee, Javier dedicated himself to mastering his craft. During his early days at BendPak, he made it a point to attend classes in blueprint reading, layout, design, fixturing and automated welding. 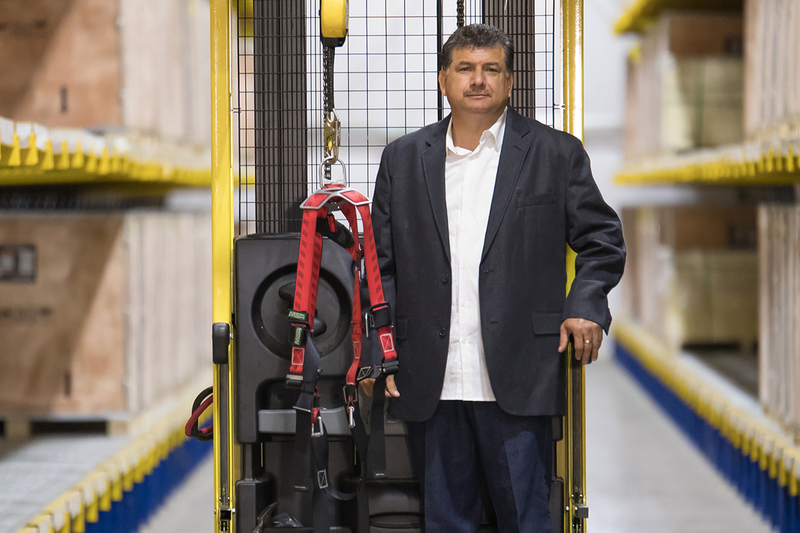 Next, Javier set his sights on material handling equipment and won his certification as he transitioned from manufacturing duties to logistics. His exemplary attitude quickly caught the attention of Don Henthorn. Under Don's careful guidance, Javier's career potential knew no bounds and he grew as an employee, just as BendPak was growing as a company. Throughout his 27-year tenure, Javier held many prominent positions before ultimately achieving the well-deserved title of Vice President of Operations. Javier is described by many of his contemporaries as the glue that keeps BendPak's essential business activities together. He is responsible for implementing winning strategies in supply chain management, distribution management, streamlining processes to facilitate cost-reduction, production and materials planning, general logistics and shipping, team-building, BendPak's overall growth and even some human resources functions. For a full six years while working at BendPak, Javier played soccer at a semi-professional level. He now brings the same values of teamwork and practice, practice, practice to every project he's a part of. A leader by example, Javier commands the respect and admiration of all who are fortunate enough to work with him. Like many members of BendPak's executive management, Javier was with the company when the seeds of success were first planted all those years ago. Now he can't wait to see what new and exciting directions BendPak will take and treasures the opportunity to shape its future. Known for his upbeat attitude and welcoming smile, Javier is a friend to all in the BendPak family.